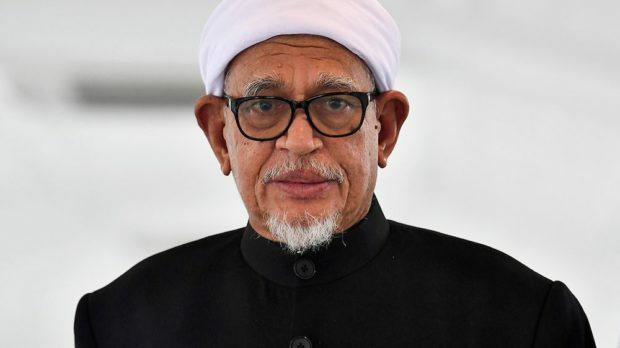 * 2 wives & luxury cars – but Hadi says no money to pay legal fees for RM90 million bribe case: So why didn’t he foresee this when he swaggered into London to sue Sarawak Report or was Najib & Co helping him out then? * God moves in mysterious ways? Why should Malaysians be paying for Hadi’s legal fees in United Kingdom since Hadi himself chose to initiate legal action against whistle-blower Sarawak Report in United Kingdom when he could have commenced it in Malaysia. What happened to the RM90 million of the rakyat’s monies given to Hadi by Najib Razak from 1MDB funds? The initial fees to pay his UK lawyers were already donated by the Malaysian rakyat out of pity for Hadi. It would be ridiculous for Malaysians to continue to donate again since Hadi had never shown his innocence that he had not received a single sen from Najib Razak, through 1MDB funds, even after proof of payment paid to Hadi was shown by Husam in the media. Hadi should not be fooling Malaysians to pay for his political cause and it seems that RM90 million was actually paid to Hadi from 1MDB proceeds by Najib Razak and where is this amount of money now? Looking at the strength of Hadi’s argument in his case, he has a weak case.